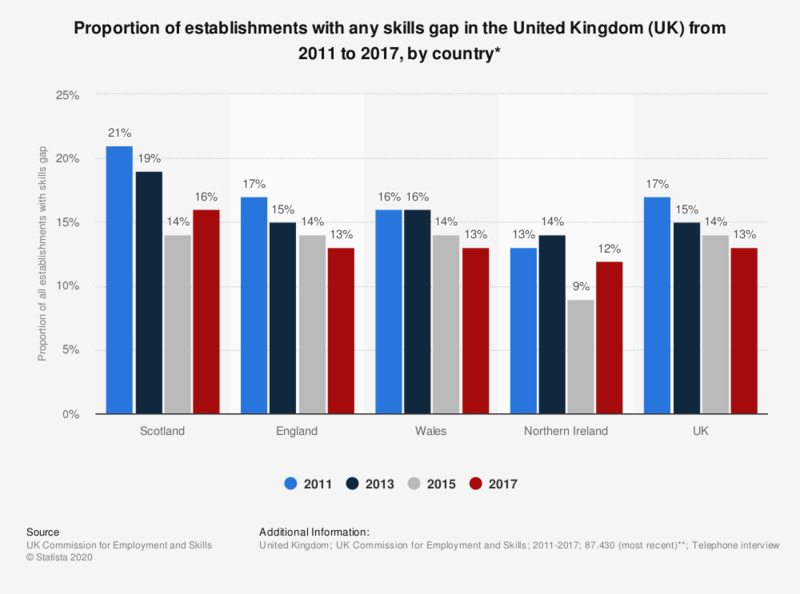 This statistic shows the proportion of establishments with any skills gap in the United Kingdom (UK) in 2011, 2013, 2015 and 2017, by country. In 2017, the country with highest incidence of establishments with a skills gap was in Scotland with 16 percent of businesses experiencing a skills gap. * A “skills gap” is defined by the source as when an employee is not fully proficient, i.e. is not able to do their job to the required level. ** Base in 2011 was 86,522, base in 2013 was 91,279, base in 2015 was 91,210. To ascertain the number of staff with skills gaps, respondents were asked, for each major (one-digit SOC 2010) occupation where they employed staff, how many of those they employed were fully proficient. If respondents asked for clarification, then a proficient employee was described as ‘someone who is able to do their job to the required level’. Statistics on "Schools and education in England and the UK"
Do you think that carpooling should be promoted with public policies and incentives? Do you think that taxis should be promoted with public policies and incentives?